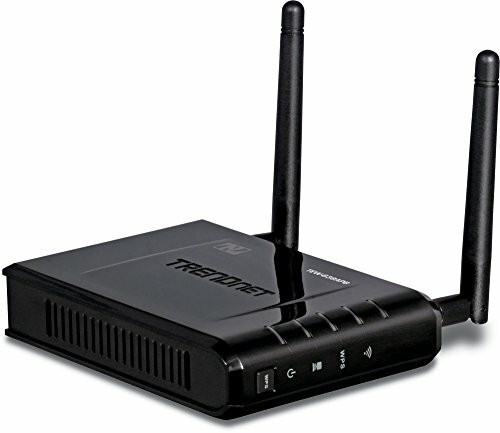 The 300Mbps Wireless N PoE Access Point (model TEW-638PAP) is a scalable secure high speed solution that provides up to 12x the speed and 4x the coverage of wireless g. No need to install this access point near a power source, power and data are received through a single Ethernet cable using Power over Ethernet (PoE) technology. Connect wireless clients to your network at the touch of a button with WPS technology. Features Access Point Client mode, Wireless Distribution System (WDS) support, and detachable antennas. Multiple Input Multiple Output (MIMO) antenna technology increases wireless coverage, advanced encryption protects your wireless network, and Wireless Multimedia (WMM) Quality of Service technology prioritizes audio and video traffic. TEW-638PAP is designed to expand your existing high speed Wireless N network with speeds up to 300 Mbps. There's no need to install this access point near a power source, power and data are received through a single Ethernet cable. Advance MIMO technology increases coverage up to 100 meters / 328 feet. TEW-638PAP is backed by our 3 year limited warranty.